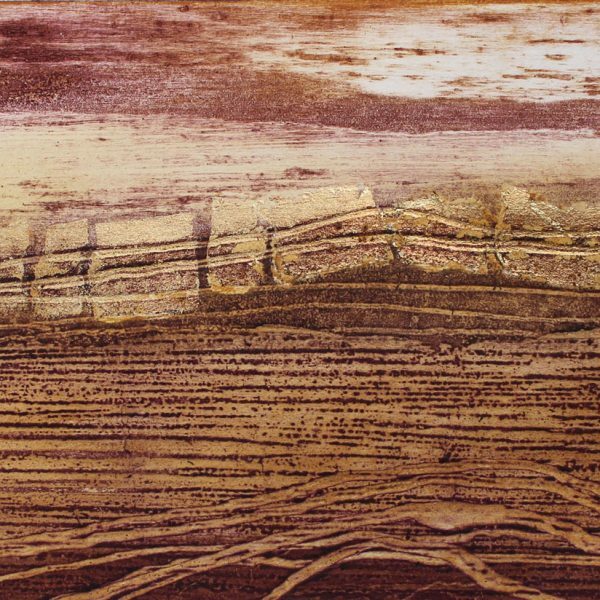 Inspired by neolithic rocks and cobalt bays in her latest collagraphs, Clare creates images that evoke the elemental energy of land and sea. 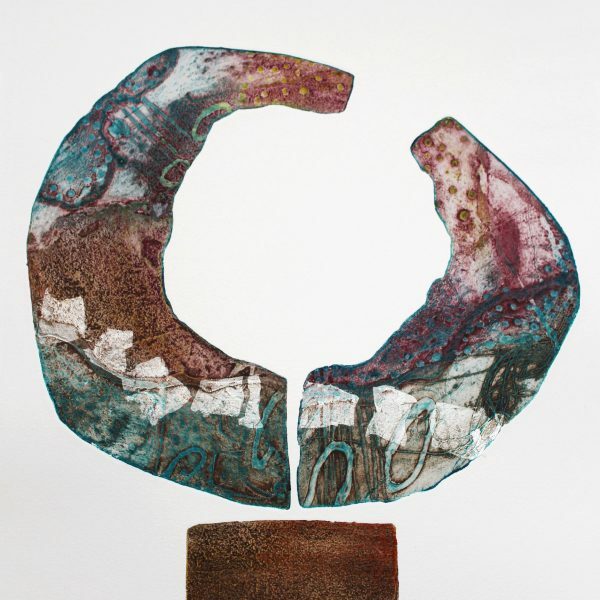 Taking a painterly approach, Clare crafts plates using corborundum and polymers, which create heavily embossed prints and allow her to contrast subtle changes of colour with pronounced texture. 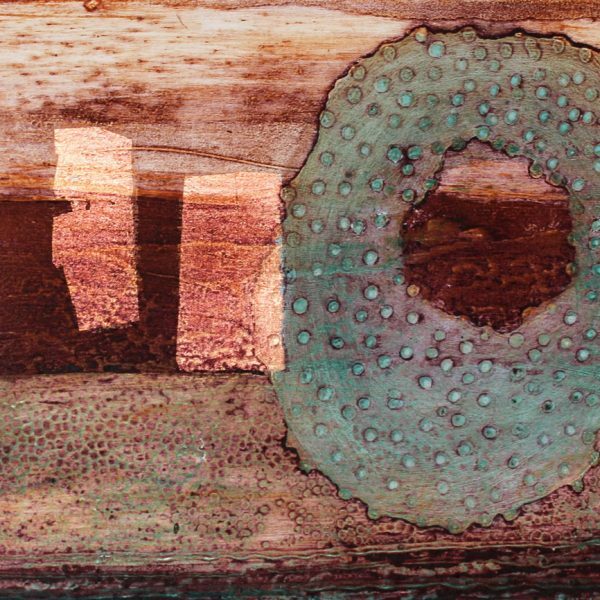 Using copper, silver or gold leaf she creates areas of intense luminosity. 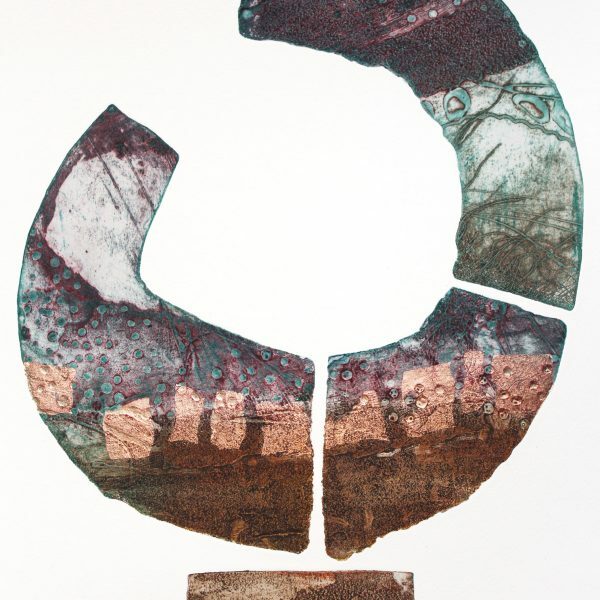 Fractured : Collagraph on somerset paper with copper leaf chine colle. Collagraph on somerset paper with silver leaf chine colle. 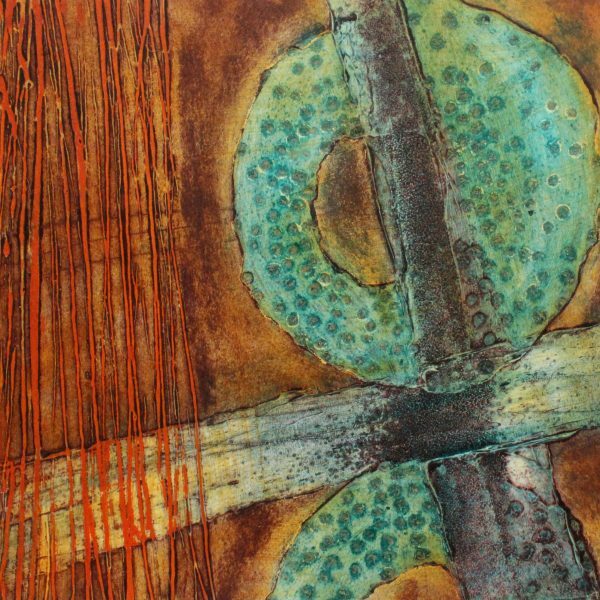 Collagraph on somerset paper with copper leaf chine colle. 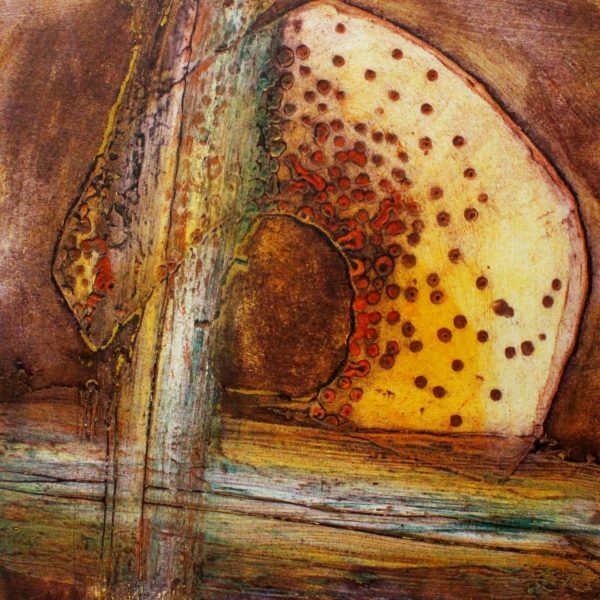 Collagraph on somerset paper with gold leaf chine colle.